1. Your brokerage may join VIPCA to support VIPCA's work with two free yacht show registrations included for free. If your brokerage already has a membership subscription simply fill out the registration form without payment for up to two attending brokers. Additional brokers attending please pay as per (2). 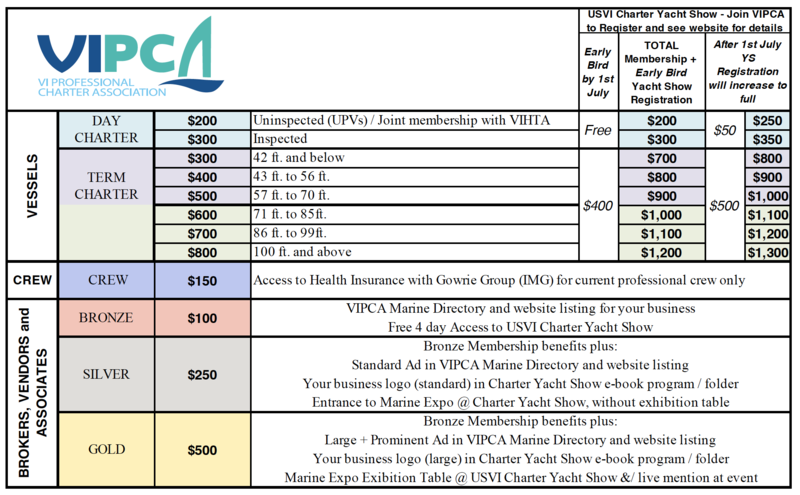 Exhibit at the Marine Expo on 11th November 2019 and advertise during the show, choose from options of VIPCA Membership Silver and Gold. For "Early Bird" registration Vessels pay by 1st July 2019.